Nothing happens to build or alter the underground network of pipes, pumps, electrical, mechanical, buildings and other infrastructure without careful engineering. All engineering is done with an eye on reliability, ruggedness, efficiency and sustainability. As you might imagine, there is a large body of shared knowledge as to best-practices of sewer design and construction. That sort of expertise is brought to Brookfield. At present, the requisite Civil and Mechanical Engineering is done by Langan Engineering. Langan, headquartered in New Haven, purchased a small engineering company that serviced the town since the inception of the sewer system. The point person for the Brookfield account is Chuck Utschig, a licensed Professional Engineer. He offices in White Plains, NY, but is in easy contact by phone and Internet. 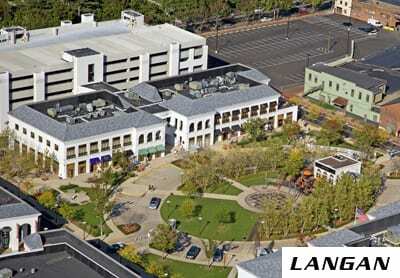 Langan and its predecessor company have been involved in the engineering of the recent Three Condo Sewer District. They also are responsible to review the technical aspects of applications for hook up to the existing system for new applicants and for any proposed changes to any system that is being made on a property using the sewer system. Oversight for Brookfield is governed by an extensive set of Rules and Regulations. These have been last revised and formally adopted as of March 2017. This 70-page Rules and Regulations document as a PDF file, as well as the Map and Drawings that are part of the regulations, can be downloaded from this website. Part of the planning is to plan for storms. During the May 2018 macro-burst, most all of Brookfield was without power for 2 or more days. At the WPCA pump stations, emergency generators kicked on at 8 of the 14 stations where generators are permanently installed. 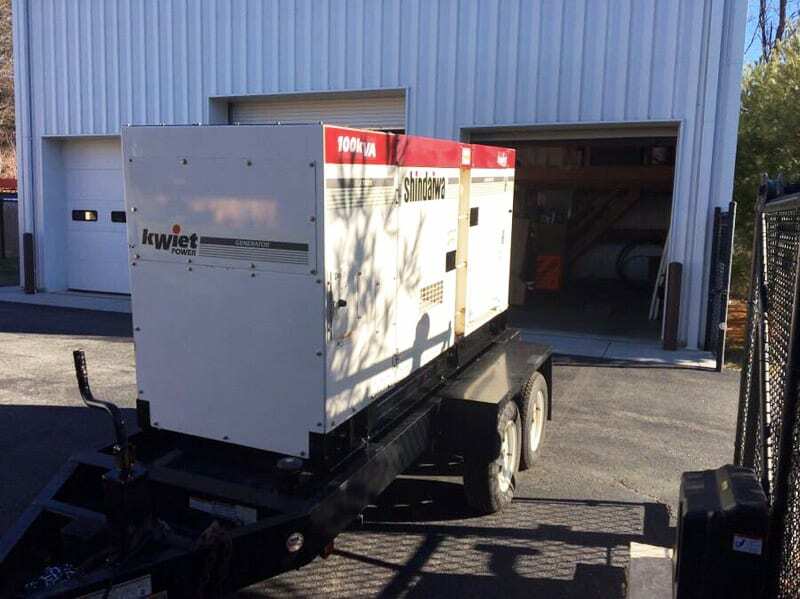 For the other stations with lesser flow, portable generators are mobilized into place. Brookfield WPCA had two generators, but one failed during the macro-burst storm. Consequently, another generator was budgeted and purchased in 2018. It was fully functional, but had to be cleaned up. It is now ready to go as pictured below outside of the Sand Cut station.